Self Cure Remedy details of Apply honey for the care and relief of Dry Skin, including effectiveness and popularity scores of the remedy. 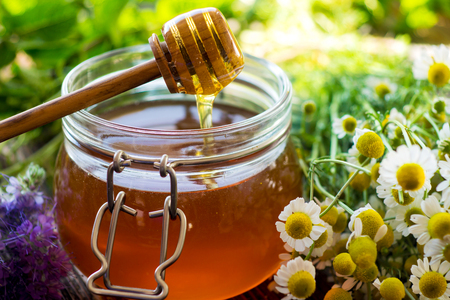 Honey helps lock in moisture to make your skin extra soft and smooth. Apply a layer of honey on the dry skin and leave it on for 30 minutes before washing it off with plain water. The self cure remedy of Apply honey for the care and relief of Dry Skin has an effectiveness score of 2.9 and a popularity score of 31 on the self-cure system.